Proven methods for speakers and coaches to build an online income stream that’s massive. This book is designed for speakers and coaches. You don’t have to quit your day job, have piles of money or be a computer geek to develop your successful online business. How the Top 1% of Speakers and Coaches Do Internet Marketing explains how to start, and grow, a successful online business rapidly, even if your speaking and coaching careers are small. Dr. Gary Arnold shares the same tested tools and techniques the top 1% of speakers and coaches use in building their information marketing business. These principles are tested, the tools are cutting edge and tens of thousands of dollars have gone into proving the efficiency of these methods. If you’re a speaker or a coach who is tired of gimmicks, out-of-date information and Pollyanna promises, this is the book that can help you really succeed. This book is filled with no nonsense, no hype, solid advice. 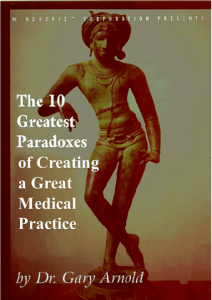 In The 10 Greatest Paradoxes of Creating a Great Medical Practice, Dr. Gary Arnold defines the new paradigm of creating rapid growth and higher profits by building loyal new patients for any professional practice. 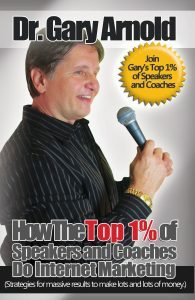 Gary reveals the 10 steps and how to make them correctly to grow 1/2 million dollars a year. 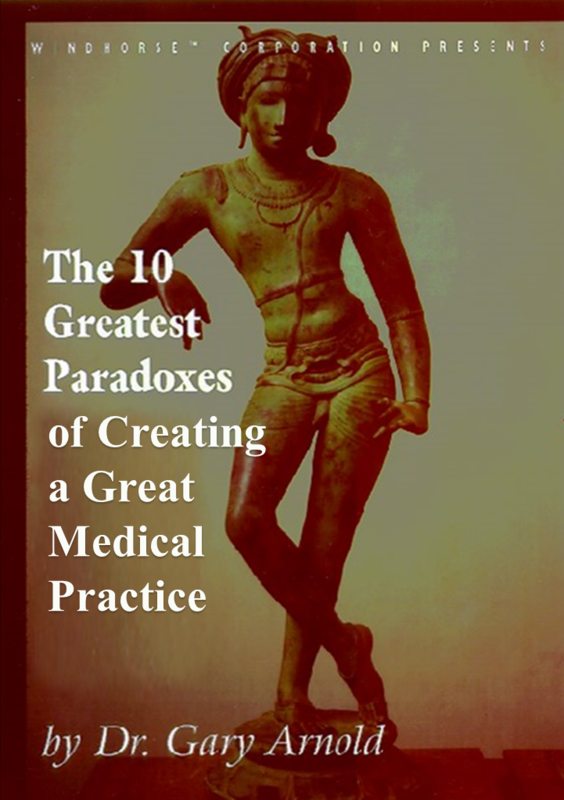 Every step is a paradox, and most practitioners get them wrong. Buy done correctly, no matter what type of professional practice employs them; they are the essential truths to the best practices of the best practices. 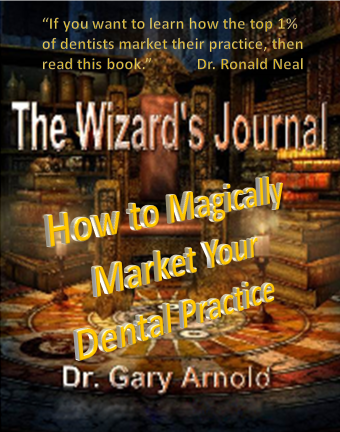 Endorsements by dental and medical luminaries follow Dr. Arnold’s consulting practice, his books and his workshops. All point to one common recommendation: “This book is a must read and a the steps must be applyed correctly for a thriving professional practice in today’s economic climate”. Dr. Gary Arnold shows why some people thrive and grow with life’s challenges while some people are swept away. 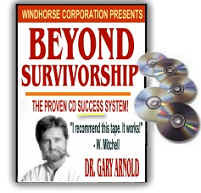 Beyond Survivorship teaches the attitudes and mind set of remarkable individuals. Learn to be active rather than passive. Process both pain and pleasure beneficially. Recognize your inner strength and potential. Then actuate it. Dr. Arnold shows you how to predict your future. Dissolve negative, unworkable states of mind. Access your natural powers of intuition. Learn to re-create reality. Eliminate worry and fear. Develop your ‘magnificent glimpse’. Align your intentions with your actions. Dr. Gary Arnold discusses paradox, those logical dilemmas imposed by language and our modern world and corporate views. 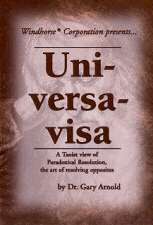 According to Dr. Arnold, unresolved paradox leads to chaos, indecision, and the inability to deal with change. 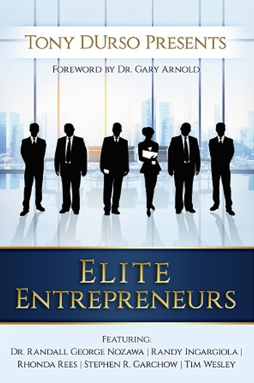 Dr Gary Arnold travels the road to developing the million dollar wealth and wisdom habit. Learn to apply proven techniques for emotional success. Apply the filter designed to eliminate ‘poverty consciousness’ and then replace it with ‘wealth consciousness’. Life is good. Gary’s father taught him that life has meaning and purpose. In this trio of vignettes, Dr. Gary Arnold speaks straight from the heart about the life lessons he’s learned. 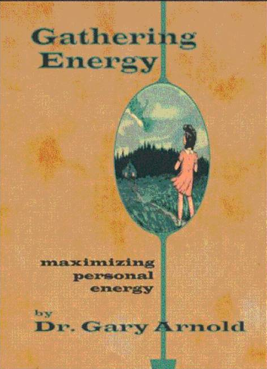 Relearn your own inner worth, and launch your potential through the wisdom shares in this book. Experience the power of recreating your life. Direct the flow of your reality. Align your intentions with your efforts. 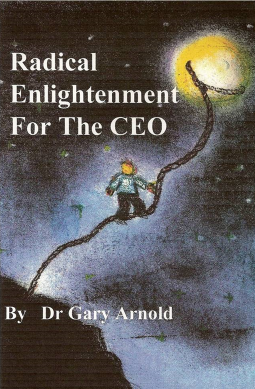 In this book, Dr. Gary Arnold explores the power of belief and intentional choice. 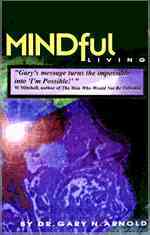 A cornucopia of life-affirming thoughts complied by Dr. Gary Arnold, Dan Glaviano and Len Foley. A great source of affirmations, meditations and reflection. Call Now for our Free CD! If you are in sales would you like a faster way to prospect? Want an easier way to separate buyers from timewasters? Want a more powerful daily track to work your plan. Is your business flat- and your attitude tired? Does wasting time confound and side-rail your best laid efforts? If you’re in management, do you want better project and team innovation? Better departmental communications? More effective leadership? Better delegation? Want to jumpstart you career? If you own your own company, do you want to take it to the next level? Want to work on the corporate culture? Want to balance your personal and business life? 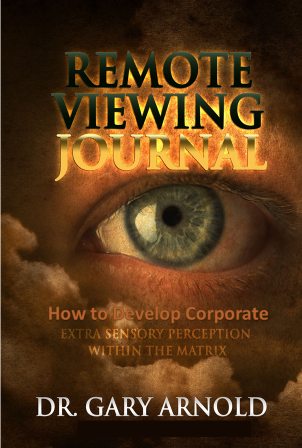 Want to expand your vision?